SEO is like looking thing else that we think is impressive, for example, but do not wana buy clothes that are expensive, but wanted the clothes seem expensive, just as we do in SEO optimization on the blog that we unknowingly , we have to impose the power of blogs to achieve optimal SEO, but the blog is not as strong as we tell it to happen "Over Optimization". The information came from "Wikipedia" proclaim that lately Google is quite active and trying hard to re-produce quality search results to the user. Google declined and continue to decline because of SPAM, and this source is because many websites are SEO Optimization excessive. What is disturbing is the Over Optimization SEO. ?, One of which is BackLink, because a lot of web / blog you want to get backlinks for free, such that there was an element of SPAM that we realize we have done, little things like OpenID have been blacklisted Google, But why Google provides the OpenID option ..? well that's the secret of Google. 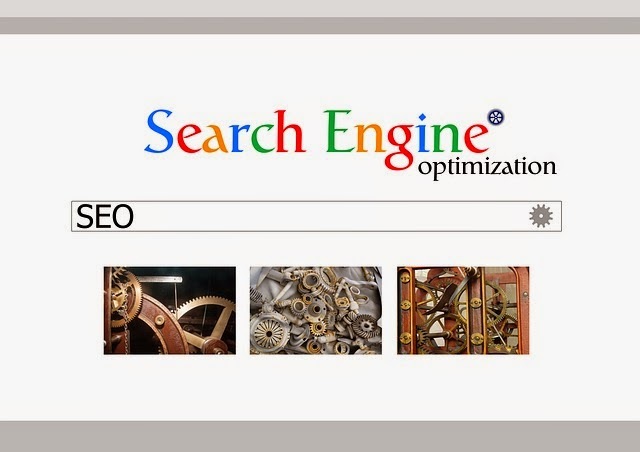 Now excessive SEO Optimization is not a good thing, if you are still using it, then immediately stop.! From the explanation above, we came to know that Google has rules we must follow, love your blog, because we will never know when a web / blog from Google penalty. Here's 8 Things to Avoid About SEO Optimization that need to be thrown away. This is a sneaky trick in the SEO techniques, Cloaking means to hide some content from the search engines, or displaying text version for different search engines by being presented to the user. For example, a particular instance on the widget link text inserted with white text and a white background, will not be visible, but if clicked on the link will go to a specific page. This technique is unethical and fraudulent. And you do not have to use it. Using too many keywords in title, meta description, etc. The intro paragraph is regarded as over-optimization, because it put more keywords is an attempt to gain the attention of search engines. Google has started to penalize sites that have a high keyword density. Usually, if the density of 2-3%, it is considered high. Use 1 if it is needed or not at all would be better, because the interlinking of content in the site is a good SEO practice. But more than a few links on each post to be that leads to the same page will make matters worse, even repeatedly link to the home page of the blog page. This could be a disaster, because the link to the post and related post Popular was available, so why excessive interlinking. H1 tags are much more attractive to the search engines of other tags. So some people use h1 tags to get some attention. Well that is completely wrong. Always use one, and only one h1 tag per page. Use h2 and h3 tags for the title and subtitle. Mean double the content, if the article plagiarism is included in the SPAM list, then double the content on the blog as well as SPAM by Google, such as copying a paragraph from the old post and repeat for a new post is wrong way. Some people may not like to see ads when hovering on websites they visit, while the pop-ups themselves is a bad thing and hated by google, because this widget deceive impressed visitors with designing 'cross' where the exit button is usually located. And when someone wants to close the ads, they click this button, which is actually a link to an ads or something. Meanwhile ensure high click through rate, highly unethical, and never should be used. Sorry if this article is too long to read, because the point is I wanna share things that will bring web / blog all to the correct concept based on Google. Thank you and hopefully useful.